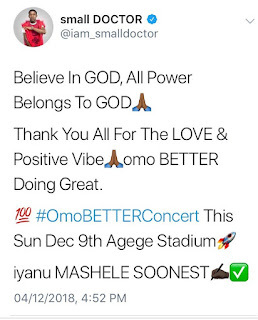 Of recent, The Nigerian singer by the stage name, Small Doctor has not been having the best time of his life as he was arrested by the Lagos state police due to the illegal possession of firearms (guns) and the indiscriminate shooting. It was reported that even after he was taken to the police station at Agege, Lagos state he also threatened to shoot the police officer on duty, reports has claimed that these offense committed by the singer can amount to 15 years imprisonment. "Believe in GOD, All power Belongs To God, Thank You All For The Love & Positive Vibe, Omo BETTER Doing Great". 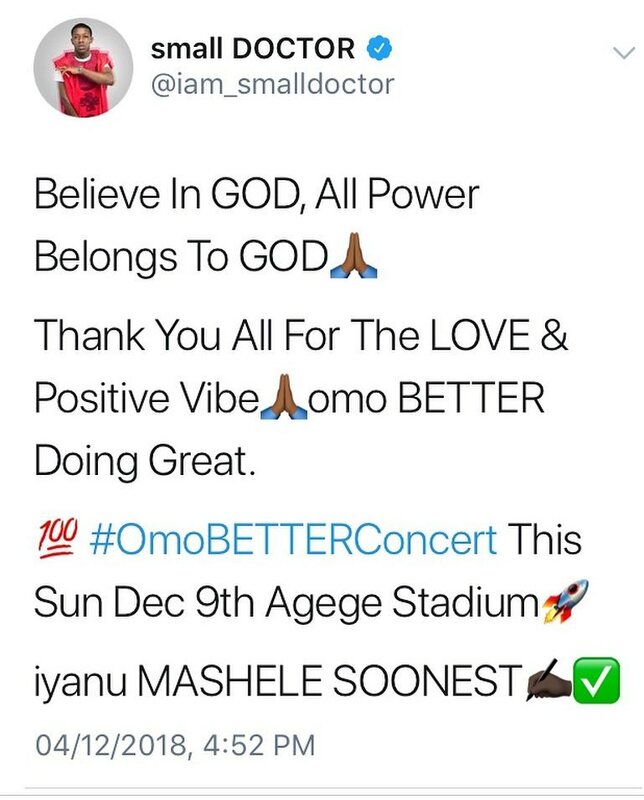 "#OmoBETTERConcert This Sun Dec 9th Agege Stadium Iyanu MASHELE SOONEST"
Remember also that small doctor is a Nigerian Police Ambassador.